Reducing food waste is important to us - we don’t want any edible food to be wasted. We’ve been working hard on this for a number of years and are well on the way to achieving our target of reducing organic matter waste by 15% by 2020/1 versus 2014/5. Last year, we achieved a reduction of 31.4% against our 2014 baseline, which saw 7,119 tonnes of organic matter go to anaerobic digestion. You can find all the detail in the John Lewis Partnership’s sustainability report. We don’t send any food to landfill in the UK. Read on to find out how we are improving food waste in our operations and supply chain, and how we try to help customers reduce their waste. We want all of our food to be eaten - whether that’s by our customers, Partners (employees) or those in need in our local communities. We work hard to predict how much food we will need and constantly monitor buying habits to ensure the products on the shelves are those customers want. Our shops look for local organisations such as a charity or social enterprise so that we can donate surplus food that is still good to eat. Through this, in 2017, we distributed over £2.1 million worth of fresh stock to local charities and good causes. an app which allows our shops to alert charities when there is surplus food available to be collected. This trial has been a great success and we are now rolling out the FareShare Go app to over 280 of our shops by November 2018. This will also help branches which already have donation relationships with local groups to communicate more easily with them. Our distribution centres donate food to Company Shop, to reduce waste in our distribution centres. Many of our shops, which aren’t using FareShare Go, give food to local groups and charities and this amount isn’t captured in the figures above. Where these options are not achievable, as a last resort any remaining food and other organic matter waste (including horticultural waste and coffee grinds) is sent to generate energy through anaerobic digestion. This has been our policy since 2012. Last year we reduced this waste by 31.4% through better stock management and training, price reductions and improved data and waste management practices. 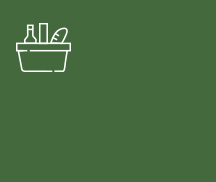 We have signed up to the voluntary Courtauld Agreement, which aims to slash food waste by a fifth by 2025. We value our trusted relationships with farmers, growers and fresh produce suppliers. Working with them to reduce waste is an important part of what we do. • Our work with fresh produce suppliers has been going on for more than a decade. We’ve sold our weather blemished crops ranges for more than 10 years, when weather such as hail affects a crop such as apples or pears. • We minimise waste along the supply chain by sending as much as we can of any surplus back to the market. Our Forgotten Cuts range of meat has been hugely successful in re-engaging our customers’ attention with some of the more unusual cuts, which supports our commitment to buy the whole animal from our livestock farmers. • In a pioneering move we developed our Cattle Connect scheme 11 years ago, which means that all bull calves born into our dairy herds move into the beef supply chain and provide either ethical veal or beef for Waitrose. • We collaborate with our farmers to innovate with waste and food by-products. For example, we’re using tomato leaves to create punnets for our Duchy tomatoes, replacing the plastic trays they’re usually in. Our gluten free pasta boxes are also partly made from waste peas and lentils. 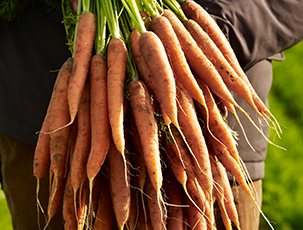 In February 2016, we launched the ‘Little less than perfect’ range of misshapen seasonal vegetables in 40 branches. The grade two vegetables come in larger bags and include carrots, potatoes, onions and parsnips which have imperfections. We are also committed to tackling the challenge of food waste at home. As part of this commitment, we are actively supporting WRAP’s consumer campaign Love Food Hate Waste. Our newspaper, Waitrose Weekend, often focuses on hints and tips and recipes - some of which can be found here.